After returning from the Parliament of the World’s Religions last month and a whirlwind time closing my home/studio and visiting friends, I arrived in Durham, North Carolina ten days ago. It was difficult to leave Oregon after 25 amazing years there but Portland is no longer the livable city that I fell in love with and was guided to make a radical change in order to continue following my soul’s journey where ever it may lead. I continue to ask, “How best can I serve our ailing albeit beautiful world with what is mine to offer?” This has been a leap into the mystery and the territory of faith. I’m not sure Durham will be my new home ground but have a short-term lease on house that is my transition space to ground back into my work, make connections, and explore the region. As we approach the Winter Solstice, this is an ideal time to carve out some precious time in your life and go inward, reflect on the passing year, and vision for the new. What is the “one life that waits beyond all the others” to borrow from Whyte? If you had one year to live, what changes if any would you make in your life? Our time in this bodily realm is so ephemeral and sitting with this again as another dear friend and colleague enters his dying time. Allowing the grief and present to the preciousness of existence. There was also an urgency that came through at the Parliament from every corner of the globe around climate change. That we must join together as people of faith and conscience–in the spirit of MLK, Rosa Parks, and Gandhi–to ensure a livable planet for all beings and future generations. I returned inspired by so many voices contributing to a more inclusive, loving, and sustainable world. Chief Arvol Looking Horse sharing his wisdom in the Lodge of Nations. I also spent a lot of time in the Lodge of Nations and was deeply inspired by the generosity of our First Nations peoples to share their ancient knowledge and affirm the importance for each of us to rediscover our own indigenous roots. To quote Anishinabek elder Elder Jim Dumont: “We have to believe in the beauty of this world.” Still processing this but look forward to sharing more soon around what art/actions may emerge…. Bow of gratitude to all the friends who drummed and prayed for us all the way across this beautiful country. And angels that guided us as we navigated snowy mountain passes, the Mojave desert, and heavy construction through major cities. We felt your support all the way! A blessed and joyful holiday season to all. “I refuse to accept the view that mankind is so tragically bound to the starless midnight of racism and war that the bright daybreak of peace and brother[sister]hood can never become a reality… I believe that unarmed truth and unconditional love will have the final word.” -Martin Luther King, Jr. I delivered the “Interfaith Tree of Peace” for Providence St Vincent Hospital on Wednesday having completed this revised version over the past month. It’s quite large at 7 x 3 feet and with the addition of the dove, it called for a new title and intention. This painting along with “Be Peace” that I shared with you last month will hang in the Interfaith Prayer Room next to the chapel on the second floor (they are repainting the room so it will be a few weeks before they are up). It has been an honor to create this sacred art and hope that they bless all who encounter their beauty. And so, my process continues to one of devotion and I dedicate this holy work daily to the healing of our world. May it be so. Sending prayers to all those impacted by Harvey and Irma. And to our beloved Columbia Gorge that is currently on fire. There is much more work to be done to instill reverence and respect for the natural world in our youth. I may be taking a look at ways to contribute to this cause once my father passes and I have more energy and time to give. I’m excited to share the Providence St. Vincent hospital paintings that will hang in the interfaith prayer room next to the Chapel. They will be redecorating the space, so not sure at this time when the paintings will actually go up. The good news is that the chaplaincy group loves the peace painting above (though the antique gold is hard to replicate here digitally). However, I am redoing the “Interfaith Tree of Hope”. They found it too pink and not what they anticipated. During the creation of this painting, I kept my vision and intention on the people who might be sitting or praying for their loved ones in the hospital. Informed no doubt by my holding space with my father during his end of life process and remembering, too, the hours I sat with my brother as he lay dying from AIDS all those years ago. 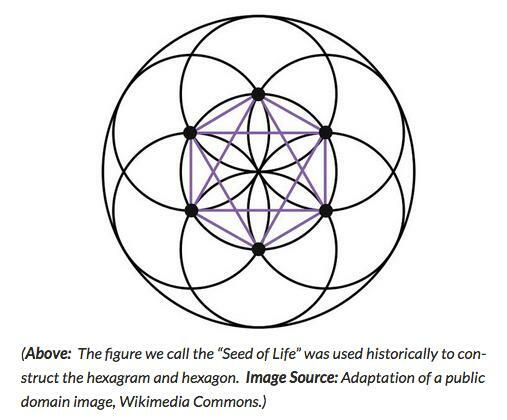 I envisioned a tree of light, with the seed of life emerging from the darkness to bring hope and healing. Unfortunately, I made the mistake of diverting from what we had discussed in our original conversation around using similar colors as the “Interspiritual World Tree.” When I’m working on an individual commission, I don’t show the work in process as it can change over the length of its creation and that has always worked for my clients. But with a large organization like Providence, I really should have shown them where I was called to take the piece before completing it. It was a lesson for me and all is not lost as I love the painting but will be spending the rest of this month on the new painting. It should go more quickly as I’ve already worked out the design and know exactly what colors to use. Stay tuned! I would like to find a home for the “Interfaith Tree of Hope” and perhaps another faith community or healing space will purchase it. If you know of anyone would might be interested, I would appreciate hearing from you or forward this email. -Alex Grey, from Art Psalms.